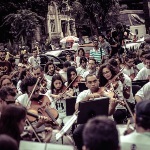 Three musicians with one burning idea: to bring classical music to the streets in one of the world’s most populated and bustling cities: São Paolo, Brazil. 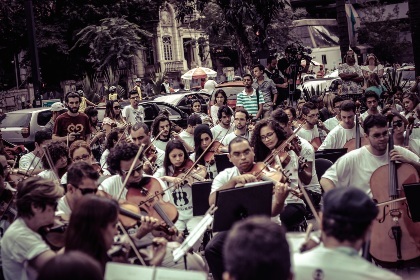 The brainchild of Caio Forster, Leonardo Mallet and Matheus Bellini, the first spontaneous string orchestra formed in 2012 and attracted 65 musicians with the help of crowdfunding and social networks. Two years later, 150 independent musicians came together to open the Art of the Street Festival. In this Classical:NEXT presentation, find out how and why these classical musicians brought their simple and democratic idea to fruition.